Unsure about what the National Disability Insurance Scheme (NDIS) means for you, how to access it, how to prepare for your planning meeting, or what to do when you get your NDIS plan? Yooralla hold free, one-on-one NDIS discussions to help people with disability and their carers to understand the NDIS, no matter what stage of the NDIS journey they are in. We can explain how the NDIS works, how to access it, how to prepare for your NDIS planning meeting, and if you have your plan how to make the most of it - all in easy to understand language. This is not a group session. This means that you can discuss your personal circumstances and needs in private - and have your questions answered. 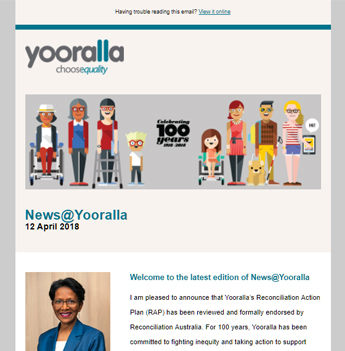 Book now for your free one-on-one discussion with Yooralla's Community Engagement Team. If the time you want is not available, please email the team at ndis.infohub@yooralla.com.au or call 03 9666 4500.